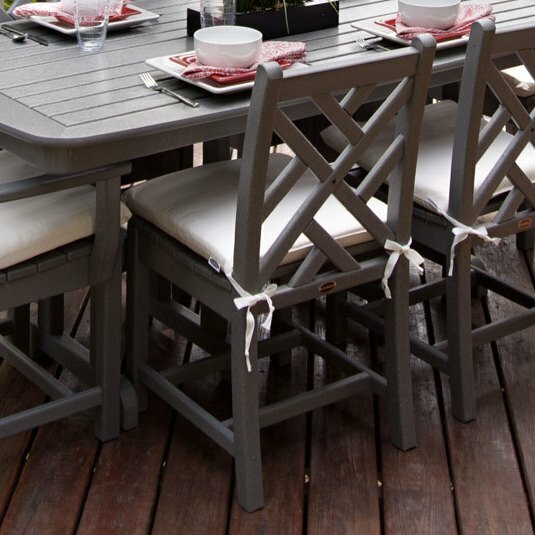 For a unique look on your patio or porch, choose these POLYWOOD® Chippendale Dining Side Chairs from Outdoor Furniture Plus. 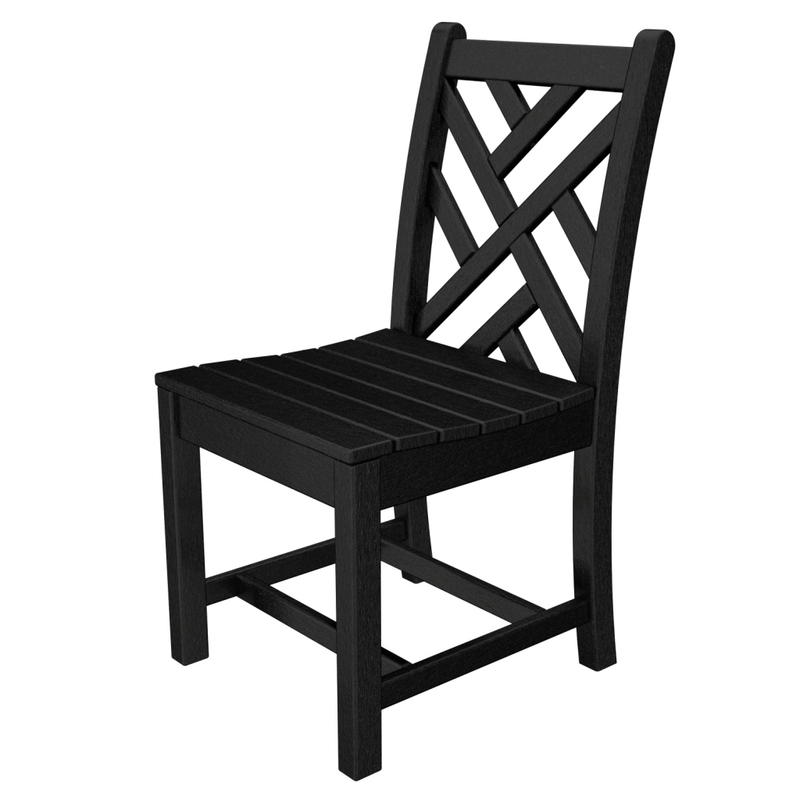 They feature a unique patterned back along with the classic slatted seat. 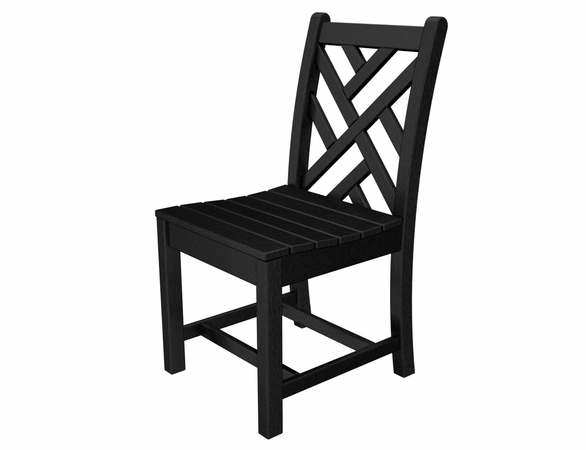 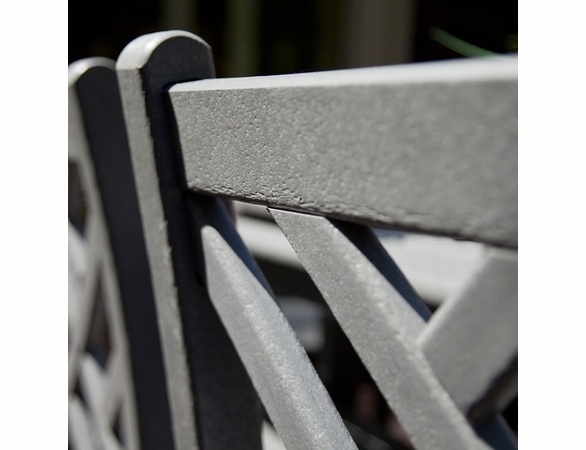 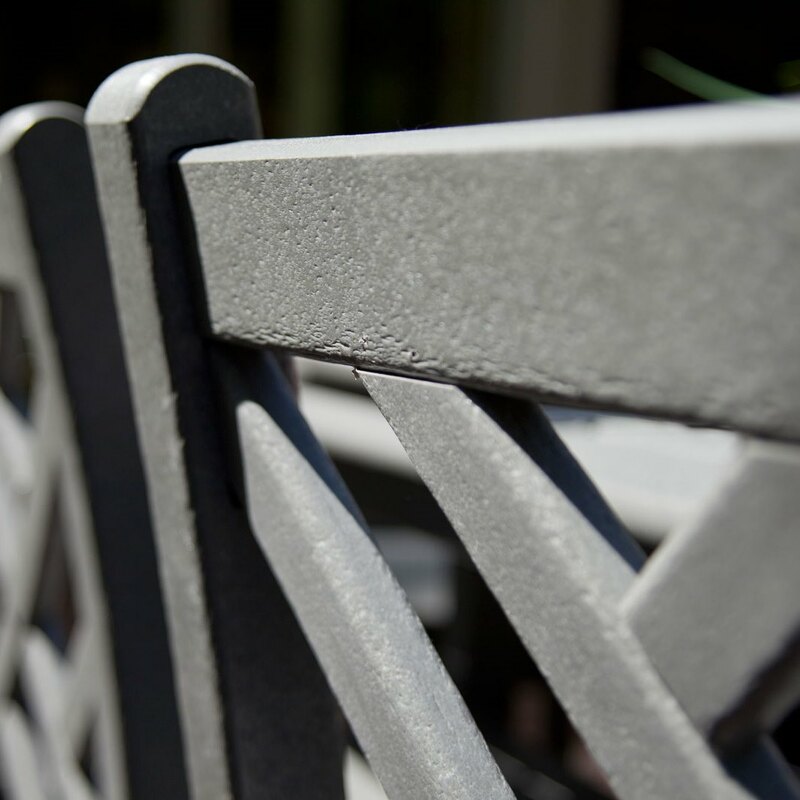 Made from recycled materials, these POLYWOOD® chairs are tough enough to withstand sun, rain, wind and more. 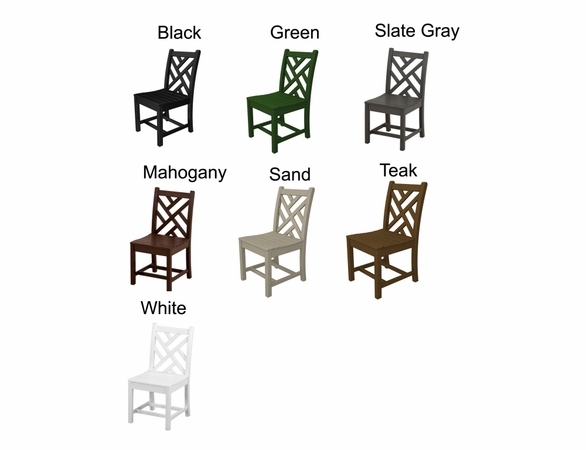 For your chairs, choose from a number of lovely finish colors. 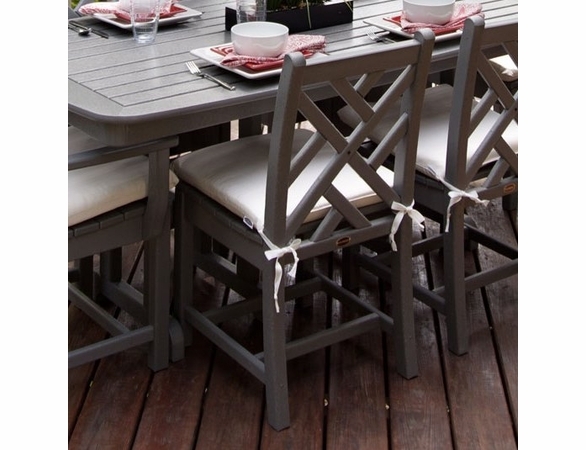 You can also opt to add a seat cushion in a lovely solid or print Sunbrella fabric. 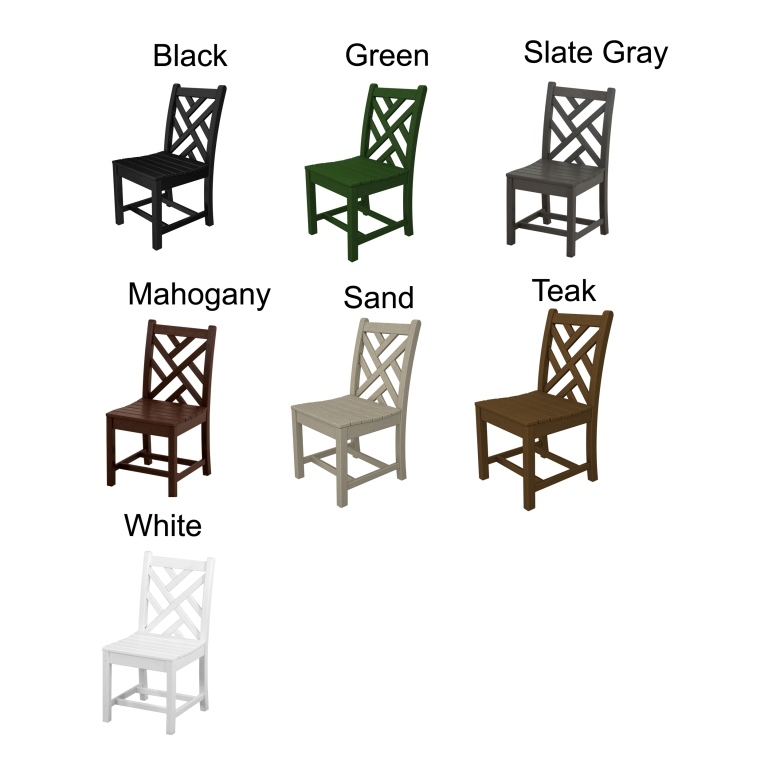 W: 17" x D: 21.75" x H: 34.75"
W: 17" x D: 15.50" x H: 17"